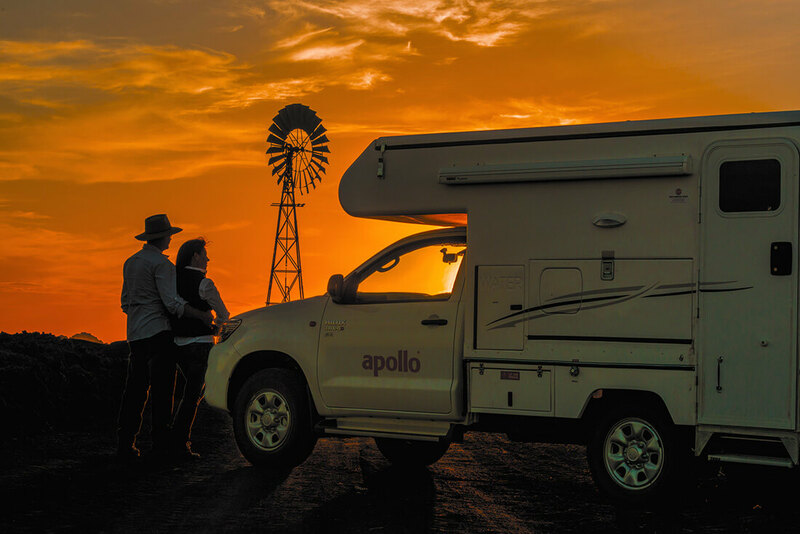 If you want to avail the best Motorhome rental deals in Alice Spring you must approach Aussie Campervans. We offer a wide range of campervan vehicles from top motorhome companies and our booking system offers an easy and quick process to secure your motorhome rental. Tip: Book early to get the best price. Motorhome rental rates are higher during peak periods such as Christmas, Easter and school holidays and availability is usually limited. There are only limited vehicles available in Alice Springs so book early to avoid missing out. Hire a motorhome from Alice Springs and explore the West MacDonnell Ranges and Kings Canyon. You can also head north from Alice Springs along the Stuart Highway to visit Tennant Creek, Katherine and Darwin. Alice Springs in the Red Centre is the second biggest town in the Northern Territory, after the capital, Darwin. It is the gateway to two of Australias most fascinating attractions - Uluru (Ayers Rock) and Kata Tjuta (The Olgas). Each year tens of thousands of tourists bus or fly east to Alice Springs to visit Ayers Rock / Uluru. Anzac Hill - It provides best views of Alice Springs Township and the East and West MacDonnell Ranges specially during sunrise and sunset. The Anzac Hill Memorial commemorates the men and women who fought for Australia during the great wars and a dawn service is held here every year on Anzac Day. Old Timers's Museum - It showcases the exhibits from the early days of white settlement. The museum is open daily from 2pm to 4pm from March to October. Other times are by appointment only. You will find photos and paraphernalia from early white exploration and display showing the completion of the Overland Telegraph in late 1800s to present day. The museum was opened in 1966 and the collection has continued to grow with items donated from the community. Henbury Meteorites Conservation Reserve – there are 12 craters where a meteorite hit the earth thousands of years before. The meteor disintegrated prior to impact and the scattered fragments of the meteor formed the craters. You can drive your motorhome rental approx. 145 km east of Alice Spring to the Reserve which is open all year round. Best time to visit is from April to September (cooler months). For great photos we suggest you time your visit for early morning or late afternoon when the sun shines on the craters with your motorhome hire. Mereenie Loop – links Alice Springs to Kings Canyon at the Watarrka National Park and the West MacDonnell ranges or vice versa without having to back track. This motorhome track drives through Aboriginal country and offer beautiful desert country views. You will require to purchase a permit $2.20 (as of 2012) and is issued on the day of travel. The only place where you are allowed to pull up is at Jump-up Lookout and rest area just north of the Watarrka National Park border. You are not allowed to stop your motorhome rental or leave the road to walk or camp anywhere else. The King's Canyon Walk – The canyon takes its name from the Kings Creek that flows through it. This 6 km walking loop climbs to the top of the canyon is highly recommended (not for the faint-hearted or the unfit). Suggest you start the walk in the morning (to avoid the heat an the strong winds) and make sure you carry a drink. Along the way you will find refreshing waterholes, gorges and riverine vegetation. This trail would take approx. 3-4 hours and there are some steep sections to climb. Ayers Rock or as the Aborigines call it, Uluru is the world's largest monolith. It stands 546 metres high above the desert plain right in the heart of Australia. There is a ring road around Uluru offering visitors a 3D panoramic view of the Rock and its mammoth size. You will certainly appreciate the experience in your motorhome rental to see the mammoth rock formation glow and appear to change at sunrise or sunset from blue hues to bright orange and reds. Visitors travel here to engage and learn about the Aboriginal customs and beliefs and the Aboriginal spirituality here at the Rock. Join one of the many guided tours at the base of the rock and learn the significance of this feature to the Aboriginal culture. We do not recommend you climb Uluru (out of respect for the Aboriginal owners). We suggest you to embark on a walk around the 9 km base. There are interpretative signs along the walk to assist in gaining an understanding of the area. BIG 4 - MacDonald Range Caravan Park - a 4 star camp ground that offers a range of cabin accommodation & powered & unpowered caravan sites. Stuart Tourist & Caravan Park - located 2km south of Alice Springs city centre. Member of Family Parks of Australia offering powered & unpowered caravan sites.